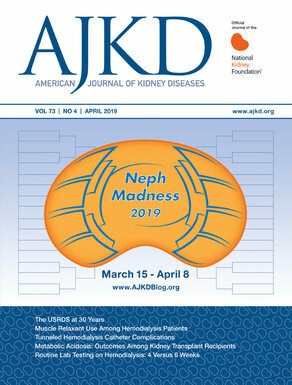 In the June issue of the American Journal of Kidney Diseases, Sasaki et al report an interesting case of diffuse proliferative IgA-dominant immune complex glomerulonephritis in a patient who received cetuximab for recurrent oral squamous cell carcinoma. Establishing a cause and effect relationship between administration of a drug and the injury attributed to it is not always easy. In this case, the authors make note of the rapid recovery of kidney function within 3 weeks of discontinuing the drug. This would not normally be expected in crescentic glomerulonephritis of other etiologies. It appears that removal of the antibody and reversal of epidermal growth factor receptor inhibition allowed rapid regeneration of Bowman capsule and the tubular epithelium. Notably, nephrotic range proteinuria persisted. Fibrin-like material was seen in a few capillary loops; this case may reflect abrogation of epidermal growth factor receptor expression by glomerular capillary endothelium. However, some fibrin leakage can occur in any crescentic glomerulonephritis. This case draws attention to the need for monitoring kidney function in patients being treated with recently developed monoclonal antibodies. Two other observed nephrotoxic reactions deserve mention. Bevacizumab, an inhibitor of VEGF, has been associated with hypertension, proteinuria, acute kidney injury, and thrombotic microangiopathy. Eculizumab treated patients with dense deposit disease show immunofluorescence findings that mimic monoclonal immunoglobulin deposition disease with IgG2 and IgG4 restricted staining for the g heavy chain. Fortunately, the incidence of these renal toxicities is low. For cetuximab, it was calculated to be less than 0.01%.